I will fully admit that when I first saw STAR WARS: ROGUE SQUADRON in motion I thought I was watching another Star Wars film. Granted, I was barely five years old, and my only other gaming experience was mashing the A button through menus I couldn’t read in POKEMON RED VERSION. But I wasn’t the only one enamored: the game left an impression on the whole of the gaming community that was, at the time, absolutely captivated by these newfangled three dimensional graphics. Preceding the beloved Battlefront series by at least six years, and first forging this idea, myth if you will, of “the perfect Star Wars game,” was Factor 5’s ROGUE SQUADRON. 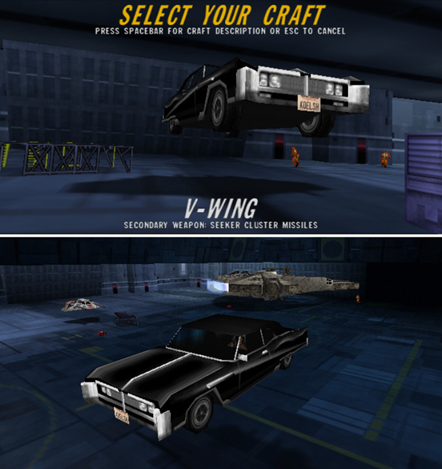 Thus it inspired a renaissance for Star Wars games: a franchise that facilitated the then-budding video game industry, and perhaps vice versa.